The SAM file is locate in C:\Windows\System32\config and stores all Windows account password encrypted. The problem is that you cannot copy or tamper the file while the file system is mounted. This leaves us with at least 2 options: copy the SAM and SYTEM files from a Linux live CD or by having a copy of those files in a backup. I have the backup and I copy the 2 files to my Kali Linux machine. The backup is from a Windows 7 version and that means that we are seeing NTLM v.2 hashes, which translates to the fact that only the last part of the hashes are useful. Posted in BASH, hacks, tutorial. 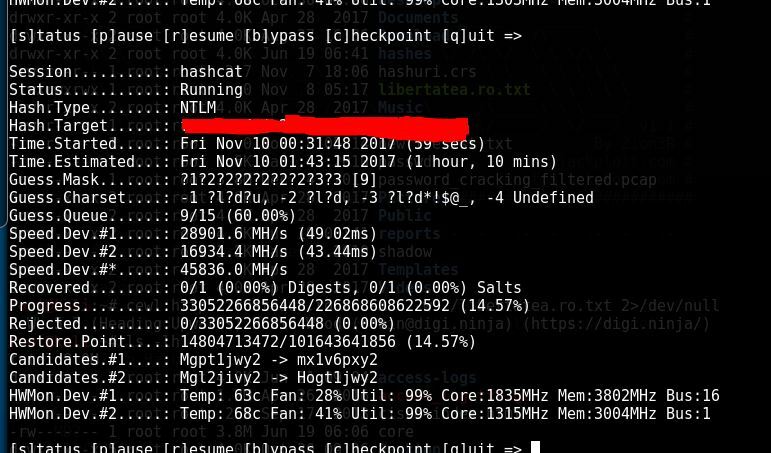 Tagged with hashcat, NTLM, SAM file, SYSTEM file, windows password cracking, Windows password recovery.